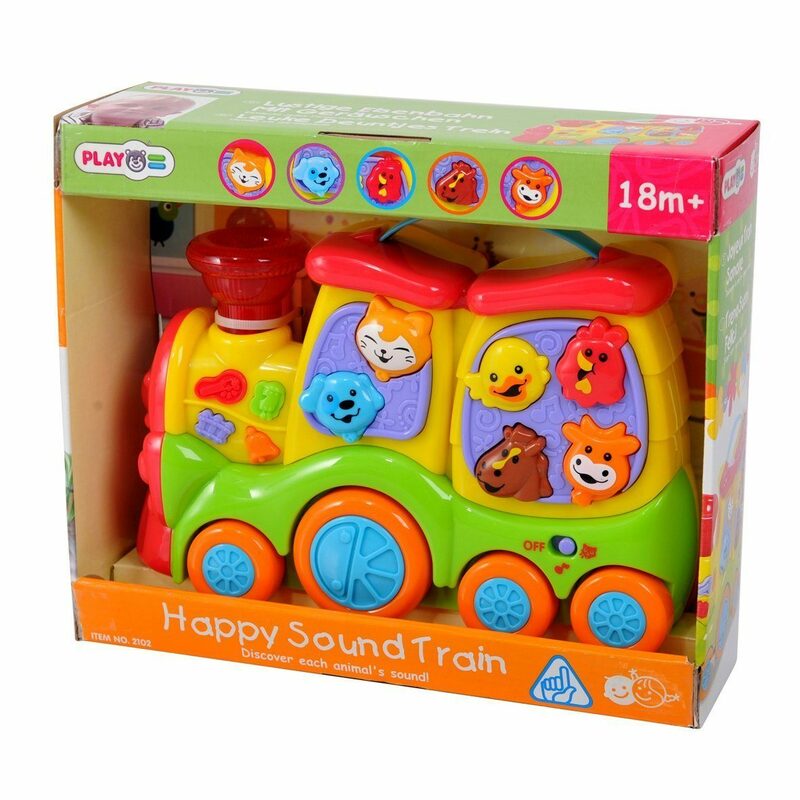 PlayGo Happy Sound Train Only $10.73 (Reg $32.99)! You are here: Home / Great Deals / Amazon Deals / PlayGo Happy Sound Train Only $10.73 (Reg $32.99)! If you are looking for a great baby shower or first birthday gift idea, check out this great deal! Right now on Amazon you can get this fun PlayGo Happy Sound Train for only $10.73! A bright and colorful train engine that has eleven different buttons, including the smokestack that make different sounds according to what is depicted on the button. There are six different animal button and sound effect buttons. Toy can be rolled on it’s wheels and also has a carrying handle.